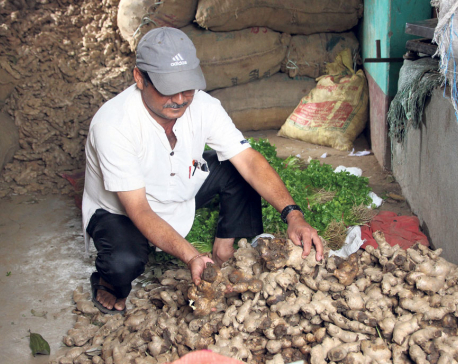 KATHMANDU, July 12: The wholesale price of ginger has gone down in the Nepali market as its supply has swollen due to decreasing export to India since 2015. 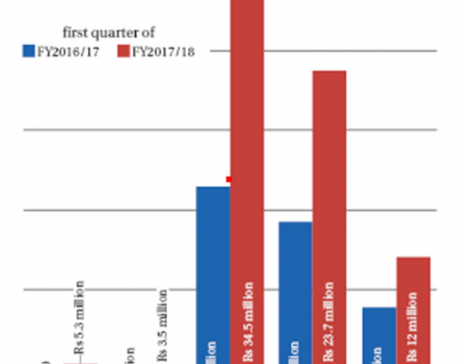 A survey conducted by Republica shows that alongside ginger, the prices of green pumpkin and dried onion have also been falling since 2015. “Though, the quantity of vegetables available in the market plays an important role in pricing, season affects their production and distribution,” Dangol added. Production of ginger and green pumpkin has risen, causing an increased supply in the market. The price of green pumpkin depends on the season but price of onion is predetermined by the Indian market. 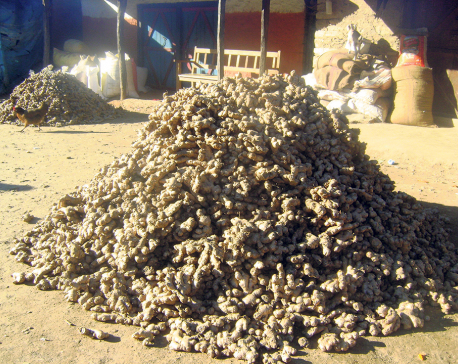 Dangol said that Almost 99 percent of dried onions are imported from India and Nepali market follows the price of the Indian market.